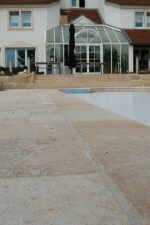 French Limestone tiles in Exterior are pieces of finesse. 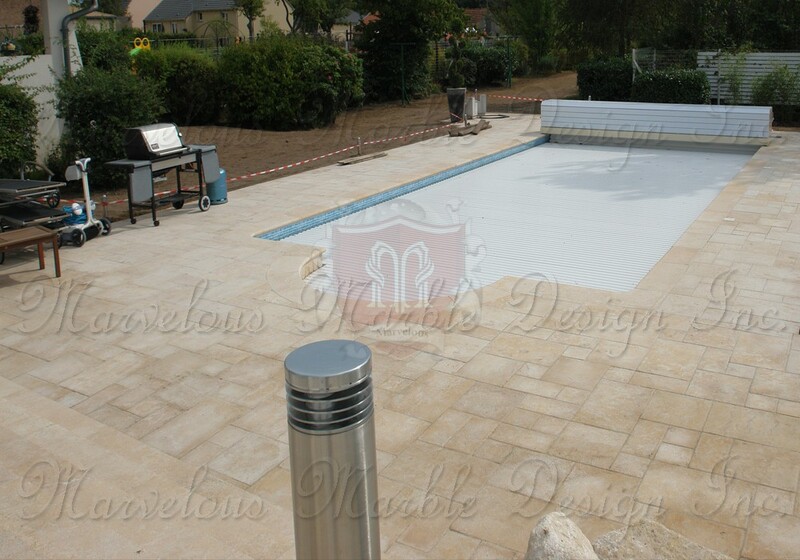 The pieces are made to provide your exterior with the perfect surface around your swimming pool. The tiles are also fantastic for external patios and they work amazingly well in custom built homes in New Jersey, New York and Texas. These pieces are produced in an artisan way, they do not feature any shed of machinery that we have come to associate with exterior floor tiles. 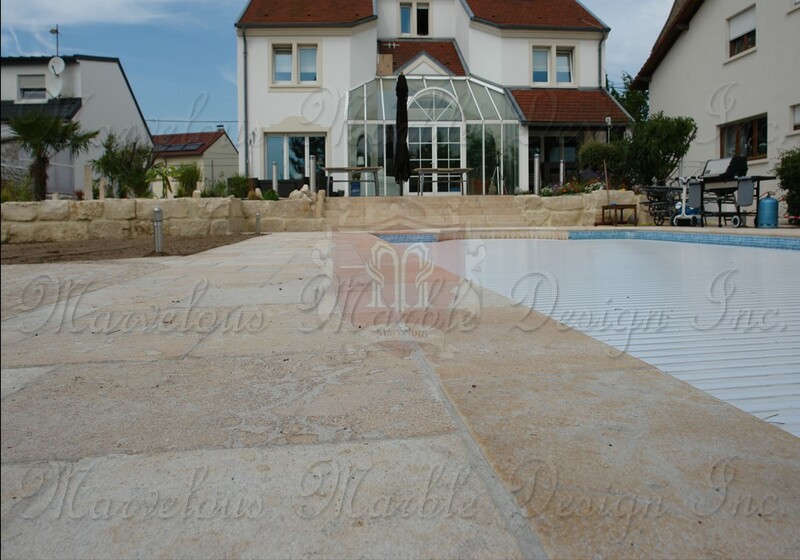 These French limestone tiles in Exterior are perfect for finishing your custom built home’s design. 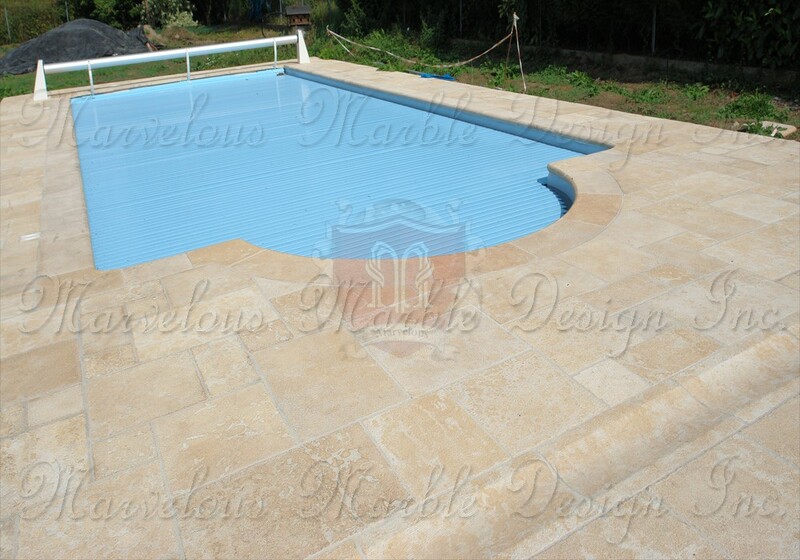 The tiles are specifically crafted for use in the exterior of your luxurious home. Crafted from the most ornate of limestones, in French limestone, the tiles are in a more traditional rustic look. The stone is dense and hard wearing. The tiles are made even stronger by their textured finish. 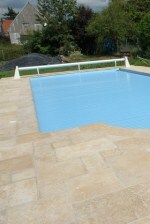 The tumbled finish makes the tiles suitable for use around the swimming as they offer better grip. 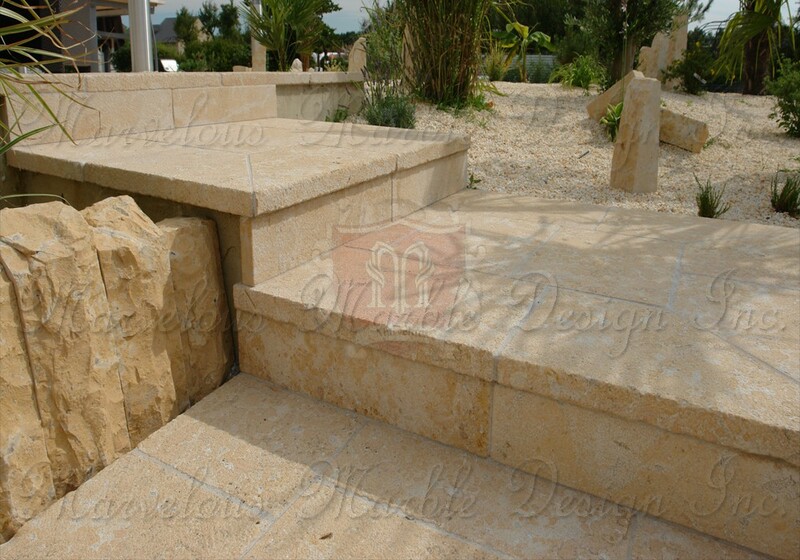 The pieces have entirely been hand carved to produce wonderfully looking surfaces. 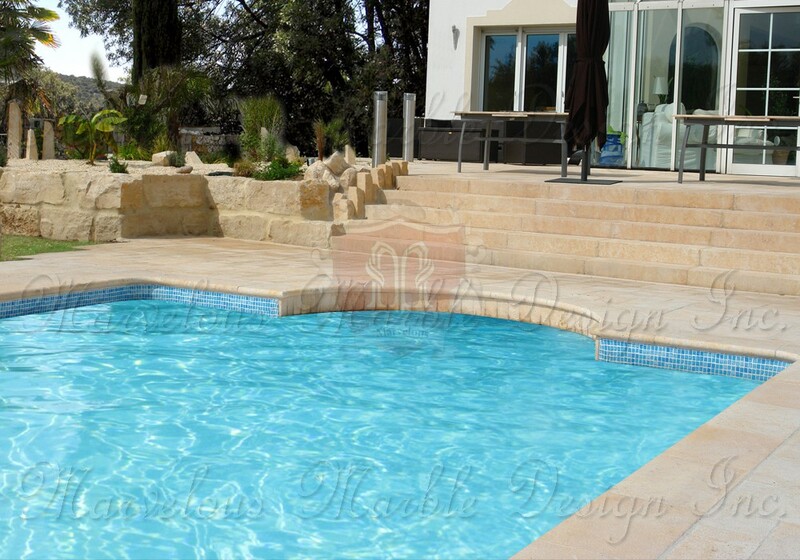 The French limestone tiles in Exterior are in deep shades of white and pumpkin for a warm and cozy exterior. The background of the tiles is set in ivory tones, with beautiful coppery veining. The coppery veining on these magnificent products work as accents – accents delivered to you by nature. You can take advantage of the tiles’ rich tones to create a richly colored floor outdoors. 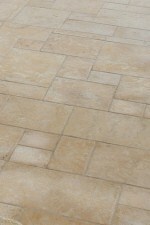 These tiles being a product of French limestone will wear gently as the time flies by, softening and deepening in color. There won’t be much on the stone that would allow anyone to tell how old the tiles are. And although these tiles are sure to age gracefully, you can protect them using a sealer and a coat of stone wax. These can be applied every few years to help the tiles to wear more evenly and beautifully as time goes by. Consider using these lovely French limestone tiles in exterior to bring old world styling to your custom built home today. For a more personalized flooring you can request for certain changes on the tiles that will reflect your personality. 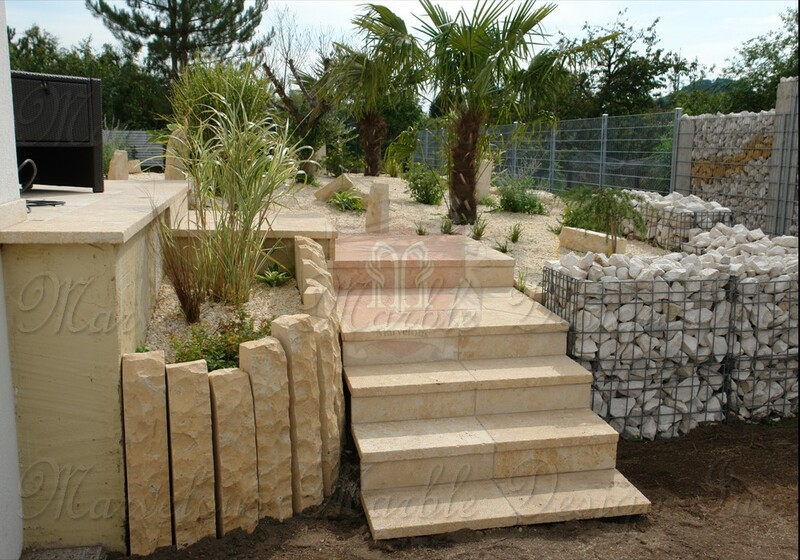 Tiles in different sizes can be provided for a step pattern such that the smaller tiles are offset from the larger ones. Versailles pattern is also possible. 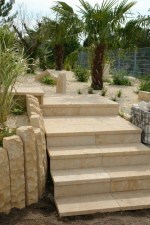 A change of the natural stone can also be arranged, if that is your desire. 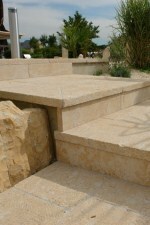 To learn more about the amazing French Limestone tiles in Exterior, please call us at 1-888-272-0630.